Legend has it that the concrete -- a concoction of frozen custard blended with dozens of other treats, like cookies, brownies, cookie dough and more -- was invented at Ted Drewes in the 1950s. 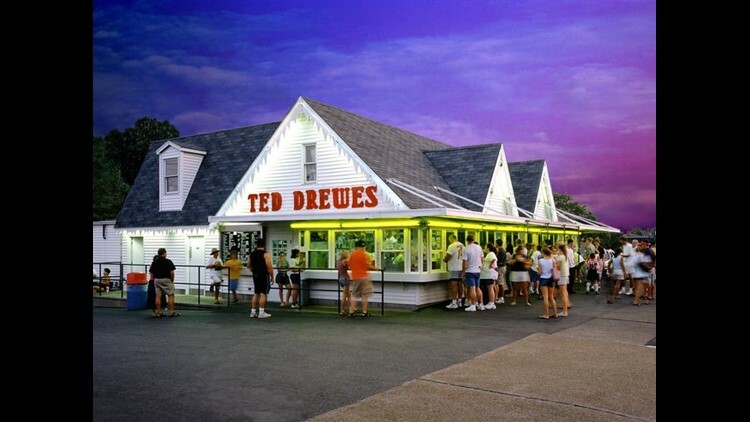 After being closed for several days due to a waterline emergency, the Chippewa location will open back up on Thursday at 11 a.m.
ST. LOUIS – Good news for Ted Drewes' lovers! 'Great news! We have permanently fixed the problem in our waterline at our Chippewa location and are making preparations to resume full operation tomorrow by 11AM. The Grand location will stay open this evening and then be closed again tomorrow until it reopens for the summer (second week of May). Thank you to everyone who has gone out of their way to support us during our urgent repairs.,' Ted Drewes Inc said on Facebook.